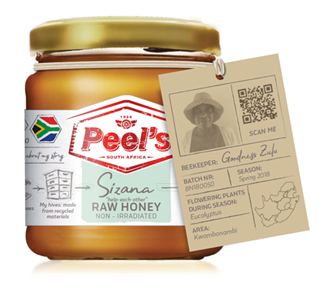 Save the honeybee, help rural poor beekeepers lift themselves out of poverty, and treat yourself to South Africa’s most delicious, purest, gravity extracted, raw honey. No two flavours are the same. Each batch is packed apart. Look up the details of your batch and learn about our poverty alleviation project on ABOUT US. Besides the delicious flavours, our honey can be used as a healthy multipurpose hiking snack; a natural energy sport snack (sport men and women eat raw honey when they are active because the fructose releases energy slowly over a period of time); a healthy, natural toast/breakfast spread; a delicious, healthy school snack (alternative to condense milk and other sweets); a natural wound ointment (no antibiotics); a delicious alternative to sugar in tea or coffee; a natural facial and skin cleanser; and a sore throat and cough soother and healer. If you are moved by our project, please consider contributing to our beekeepers on MAKE A DIFFERENCE.